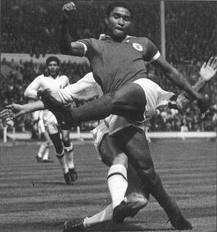 Mozambique born Portuguese legend, Eusebio was one of the most prolific scorers of the 60′s. With a reported 727 goals for Benfica, the lightening quick frontman dominated the Portuguese league, winning eleven titles in his stay with the Lisbon giants. However, it was his performances in the European cup that first brought him to the World’s attention. Playing in four finals and scoring in two of them, Eusebio lifted the trophy just once in 1962. The previous year had seen Benfica end Real Madrid’s reign as Kings of Europe as they beat Barcelona in the Final, and the 1962 Final paired the two of them against each other. Despite Madrid storming into a 2-0 and then 3-2 lead (thanks to a Puskas hat trick), Benfica stormed back to win 5-3 thanks largely to a brace by Eusebio. The man known as the Black Pearl had done this aged just 20 in his first full season with the club. A year later, he was in the thick of it again as he scored against Feyenoord in the semi before notching another Final goal, this time against AC Milan who overturned Eusebio’s goal with a brace by Altafini. He’d suffer further Final heartache to Inter Milan in 1965 and Manchester United in 1968, scoring two semi final goals in both seasons. His stay with Benfica wasn’t always so smooth though. When he signed for them, he alledgedly had to go under an alias to avoid kidnapping, whilst after the 1966 World Cup, Portugal’s dictator Salazar passed a law stating that he wasn’t allowed to leave Portugal after Inter Milan bid a massive $3m for him. In 1966. And whilst on the subject of the 1966 World Cup, Eusebio top scored with nine goals, including a memorable four goals haul versus North Korea. Portugal would eventually bow out at the Semi Final stage where Eusebio’s goal wasn’t enough to stop hosts England progressing to the Final. In what was a prolific career, Kempes will be best remembered for his time with Valencia which saw him win two Pichichi trophies, a UEFA Cup Winners Cup (versus Arsenal) and the Copa del Rey in 1979, when he scored both goals in a 2-0 win against the mighty Real Madrid. He became something of a journeyman in his later career (that saw him scoring goals into his 40s), taking in spells in Austria, Chile and Indonesia, where he still remained prolific. He went on to play twelve more times for his country, but the extra time goal in the World Cup Final was his last for his country. A big game player when his country needed him most. And coming in at number eight is Brazilian great Evaldo Izidio Neto, known more widely as Vava. Despite winning just 20 caps for the national team, Vava won the World Cup twice, in 1958 and 1962 and scored nine of his 15 national team goals along the way. 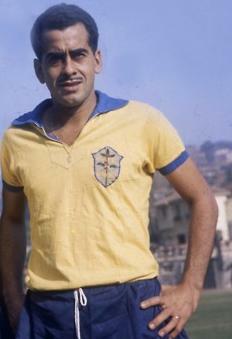 Nicknamed Steel Chest (not quite as cool at Zico’s nickname), Vava was known as a goalscorer first and foremost. And he did that very very well. The first man to score in two World Cup Finals (only three others have managed this), he first came to International prominence in the 1958 World Cup in Sweden. With Brazil looking to make amends for finishing runners up at home four years earlier, Vava, along with a 17 year old Pele and the mercurial Garrincha, won Brazil’s first World Cup. Aftecr just four minutes, they found themselves 1-0 down in the Final to the hosts, courtesy of a goal from AC Milan’s Nils Liedholm. cometh the hour, cometh the man – Vava stepped up to make sure there would be no repeat of the 1954 disappointment. And despite all of Brazil’s beautiful football, it was two poachers goals from him that firstly equalised, and then put them 2-1 up. Brazil went on to win the game 5-2 and in doing so, would begin a legacy that has seen them become the greatest footballing nation in the history of game. And it shouldn’t be forgotten that he also scored in the Semi Final win against France – once again an important goal, with Vava scoring the opener. And he wasn’t finished there. Four years later he was even more instrumental. 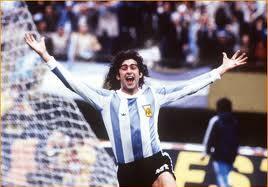 He top scored with four goals despite the fact that his first goal wasn’t until the Quarter Final win over England. In the Semi final win against hosts Chile, Vava’s goals were the difference as he scored a brace in a 4-2 win (along with player of the tournament Garrincha). And once again, he was at it again in the Final, scoring the third and final goal as Brazil retained their trophy with a 3-1 win over the Czechs. Once again, it wasn’t a classic Brazilian strike, with Vava this time pouncing on a goalkeeper mistake as seen here. He enjoyed spells with Vasco da Gama, Atletico Madrid and Palmeiras (among others) before moving into coaching, where most notably he was the assistant manager of the 1982 Brazil squad – generally regarded as the best team never to win the tournament. 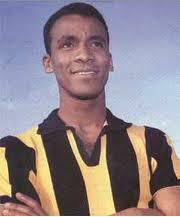 After a few World Cup specialists comes the King of the Copa Libertadores, Alberto Spencer. After spending his whole career in Ecuador and Uruguay (he also represented both countries), he’s somewhat unknown in Europe, despite his prolific scoring record. 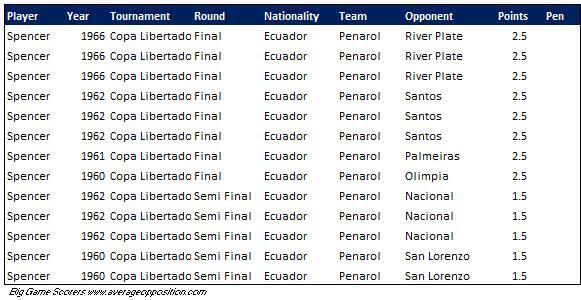 Even now, he’s the all time Top Scorer in the history of the Copa Libertadores, and it’s his 13 goals in the latter stages of the tournament that warrants his inclusion in the top 10. In total he scored 54 goals in the tournament from 1960 to 1972. Internationally, despite never appearing in a World Cup, he does have the distinction of being the only player to have played and scored simultaneously for two countries. In fact, he swapped between Ecuador and Uruguay no less than four occasions. Nicknamed the Magic Head due to his heading ability, Pele once said of him “Someone that headed better than me was Spencer. I was good, but he was spectacular heading the ball“. He didn’t however, mention problems in the bedroom. He’s played in the Final of four different major tournaments and scored in all of them. Some correctly point out that he never scored in the European Cup Final, to which the simple answer is that he didn’t play in one. The closest he came was with Real Madrid in 2002-03. They ended up losing to Juventus 4-3 on aggregate, with Ronaldo playing and scoring in the 2-1 first leg win, but missing the return match which meant both he missed the chance to play in the Champions League Final, and also that the rest of us had to watch what is one of the worst Finals in the history of the competition. But I digress. This is all about Ronaldo. In my eyes, the pre injury Ronaldo was the best player I’ve ever seen, and had the potential to be the best of all time. Quite a statement I think you’ll agree but when you compare him with say Messi at the same age (19-20) Ronaldo scored 47 goals for Barca whilst Messi scored 17. I know there are plenty of variables to that, but it does tell a story. After the injury (November 1999), he was visibly different, but he adapted to great success and fulfilled his greatest dream by winning the World Cup in 2002 (after recoevring from a second career threatening injury). And how. Ronaldo scored 8 goals in his 7 games (the highest total since 1970) including the winner in a 1-0 defeat of Turkey in the semi final, before his moment of redemption – the 2002 World Cup Final against Germany. Sure, he had a crap haircut, but look at the hunger for the first goal – winning the ball back (after losing it to be fair), and following up on Rivaldo’s speculative effort. The second was a thing of beauty though. The picture for Vava, it is Zito.